In a series of festive blogs, we’ll be shining a spotlight on a few clients who have made remarkable business achievements in 2017. First up is Edinburgh’s Pickering’s Gin. Last year the batch of 30,000 baubles sold out in 82 seconds flat and made headlines all over the world. 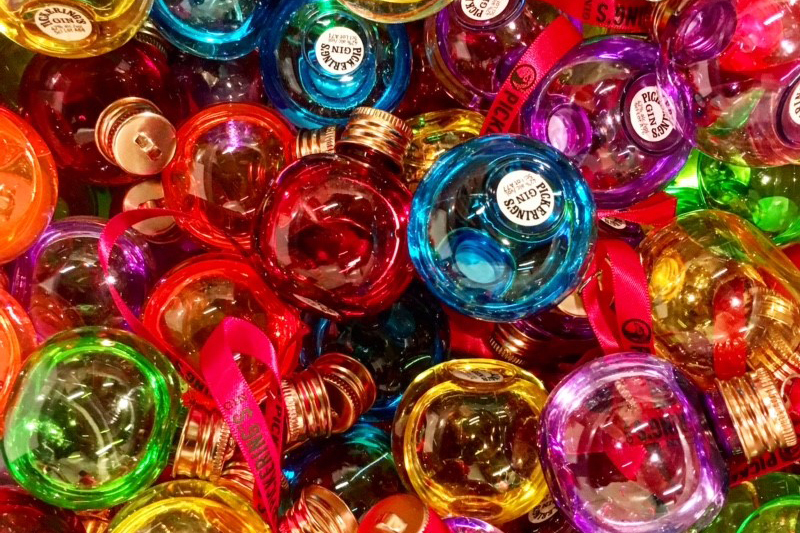 From Fashion bibles to American chefs, these colourful gin filled baubles were named as the Christmas gift of 2016. The idea for the baubles started off in 2014 as a bit of fun for our local Christmas fair. We didn’t anticipate the demand of last year and the global media coverage they received. And what an impact they’ve had on the business; to meet consumer demand, Matt Gammell and Marcus Pickering, the founders of Pickering’s Gin, upgraded everything at Summerhall Distillery (fun fact: the distillery is based in the old animal kennels of the former Edinburgh vet school). The duo purchased new kit, built a new production line, hired 19 ‘elves’ to work around the clock filling 20,000 baubles a day, all in preparation for Christmas 2017. Quite an achievement for a business that is less than three year’s old. ‘The idea for the baubles started off in 2014 as a bit of fun for our local Christmas fair’ recalls co-founder Matt Gammell. ‘They weren’t part of our original business plan; we knew there were people who would see the appeal as a gift and as something a bit different, but we didn’t anticipate the demand of last year and the global media coverage they received. Of course our initial reaction was ‘wow’ but there was also the feeling of an opportunity missed. We had to work very hard to manage people’s disappointment and assure them that we’d have enough this year’. 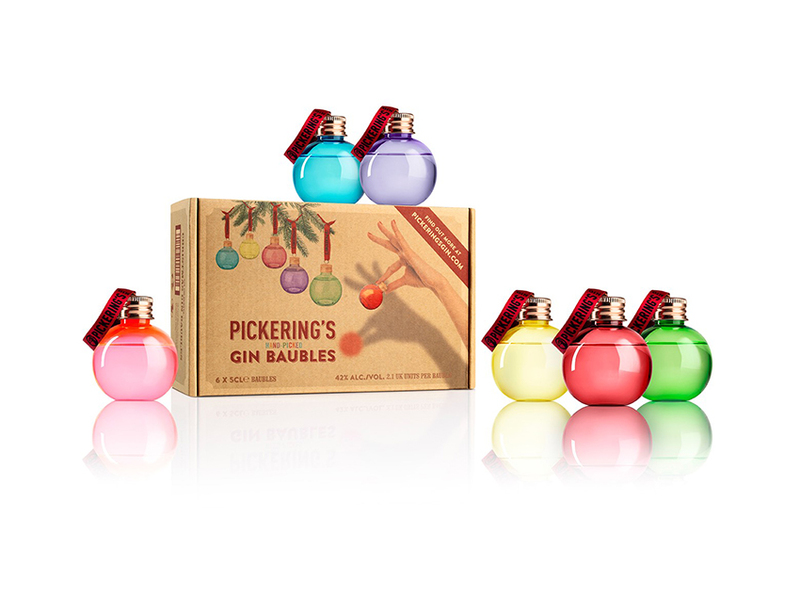 As well as being on sale across the UK, they’ve been exported to Denmark and Australia to spread the ginny bauble shaped merriment far and wide! A target of creating a bumper crop of one million baubles was set and production began at the start of the year. Of course upgrading the distillery facilities and workforces required quick efficient investment, so the team chose an alternative finance option in the form of LendingCrowd. ‘We’re a three year old growing business’ says Matt. ‘We don’t have a lot of security and our primary goal was to reinvest our profits in these early years. So we’ve had very little to secure and borrow against, and I found our bank pretty difficult to deal with. LendingCrowd still had to do the same diligence process but were able to give a more supportive view on the performance of the company. They’re people who are more akin to taking a slightly higher risk then a high street bank, and they gave us the opportunity to secure the funding required’. 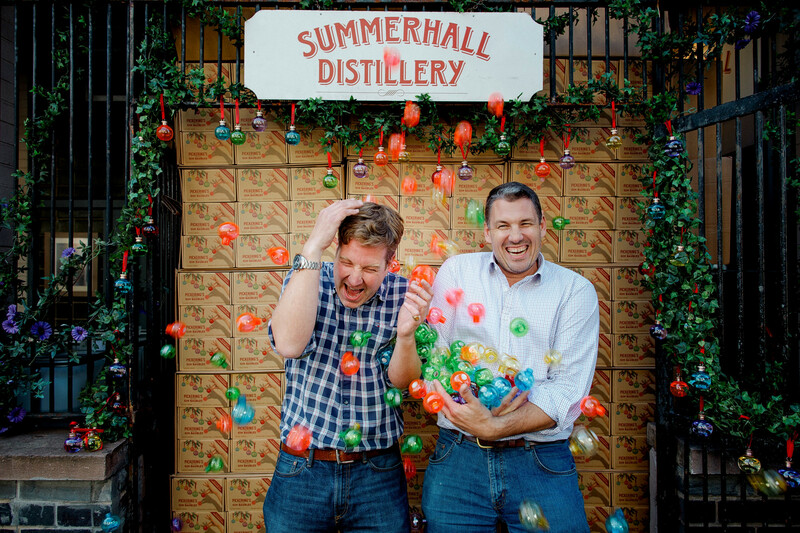 From the days when gin filled baubles were but a fun conception, Matt and Marcus have worked with the food & drink team at Johnston Carmichael; outsourcing financial matters which allows them to focus on growing their business. Matt recalls ‘The support we’ve had from Johnston Carmichael has been invaluable; whether running our payroll, providing specialist regulatory advice or doing core tax work, the JC team just make things happen so Marcus and I can concentrate on running the business. It was a calculated decision to move to Johnston Carmichael due to our awareness of the firm’s expertise in food and drink. But we also knew that JC was big enough to cover the needs of our company as we grew, but wasn’t a massive corporate that we would be lost in. Marcus and I still very much think that, so we've made the right decision’. The bauble casing is patented in order to give customers a one off product that is truly unique. 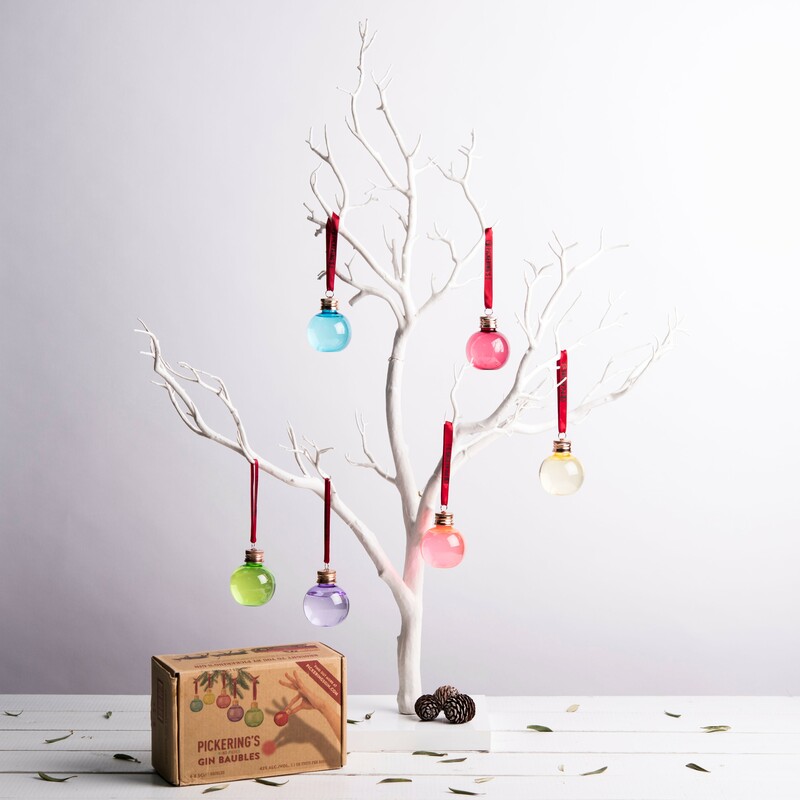 As well as being on sale across the UK, they’ve been exported to Denmark and Australia to spread the ginny bauble shaped merriment far and wide. Capturing the imagination of gin lovers all over the world; is this the best part of the job for the founders of Pickering’s Gin? ‘I love that we’re making a product that even though is a luxury, is something that people choose to buy because they love the product, they love the brand so want to engage. That sense of enthusiasm towards Pickering’s Gin is massively rewarding for the whole team as everyone at the distillery has worked really hard to help the business grow’. You can find out more about the Food & Drink team at Johnston Carmichael on our dedicated Food & Drink page. Navigating around Scotland’s rich, natural larder has just become a whole lot easier, thanks to a mouth-watering new map of the country produced by accountancy and business advisory firm Johnston Carmichael. Introducing Brewgooder: the Scottish craft beer that donates 100% of its profits to clean water projects around the world.